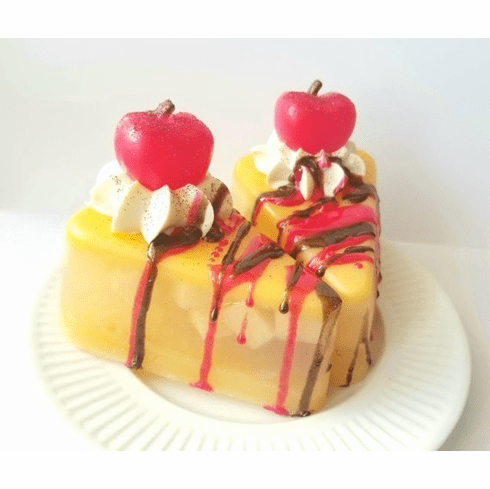 Home | New Products | Spice Apple Pie Soap- Limited Edition! This listing is for one spiced apple pie soap. Scented in a lovely cinammon apple fragrance. Soap weighs approximately 7.5 ounces. Soap is decorated with a soap dollop, a soap apple, and glitter. Wrapped in a clear bag with ribbon.